The Independent National Electoral Commission (INEC) has cancelled the scheduled supplementary election in Bauchi state. Bauchi was among the six states that the commission fixed supplementary poll for March 23, following the disruption of the collation of the March 9 governorship and state assembly elections. But in a statement, the commission said it decided not to go ahead with another election in line with the recommendation of a committee it set up to investigate issues with the election. The commission said the collation process in the state will resume on Tuesday. 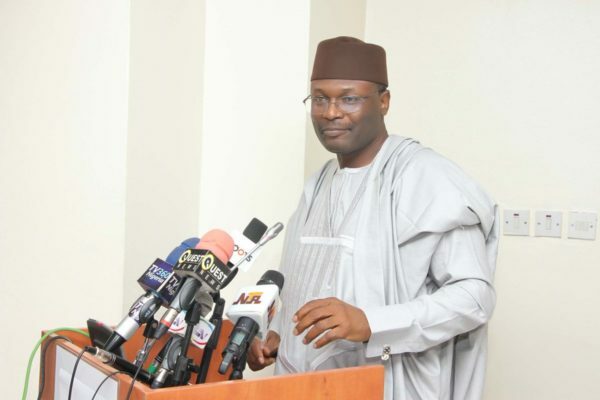 Festus Okoye, chairman, INEC information and voter education committee, said the committee found out that results of March 9 elections in Tafawa Balewa local government area, where suspected thugs disrupted the process, were still intact. “The governorship and state assembly elections were held on the 9th March 2019 in Tafawa Balewa local government area and the votes scored by candidates were announced at the polling units and collated at the 11 registration areas of the local government,” he said. “INEC guidelines provide that where violent disruption affects collation in this manner, results should be regenerated from duplicate copies on a replacement result sheet. The Collation Officer, under pressure from Party Agents who could not wait for the arrival of a replacement result sheet, decided to collate the result on an available RA result sheet instead of the replacement LGA result sheet. When the result was presented at the State Governorship Collation Centre, the Returning Officer rejected the regenerated result because it was on a wrong result sheet. “The Investigation Committee also established that the number of cancelled votes for the 4 Polling Units in Ningi Local Government Area which was recorded as 25,330 in form EC40G (1) was incorrect. The actual figure is 2,533. “Consequently, the Commission has taken the following decisions: approved the resumption and conclusion of the collation of results of Tafawa Balewa Local Government Area in relation to the Governorship election as the duplicate and original Registration Area results are available. Approved the resumption, conclusion and announcement of the result of the Tafawa Balewa State Constituency. He also said contrary to the record that the number of cancelled votes in four units in Ningi LGA stood at 25,330, it was discovered the actual number of votes cancelled was 2,533.